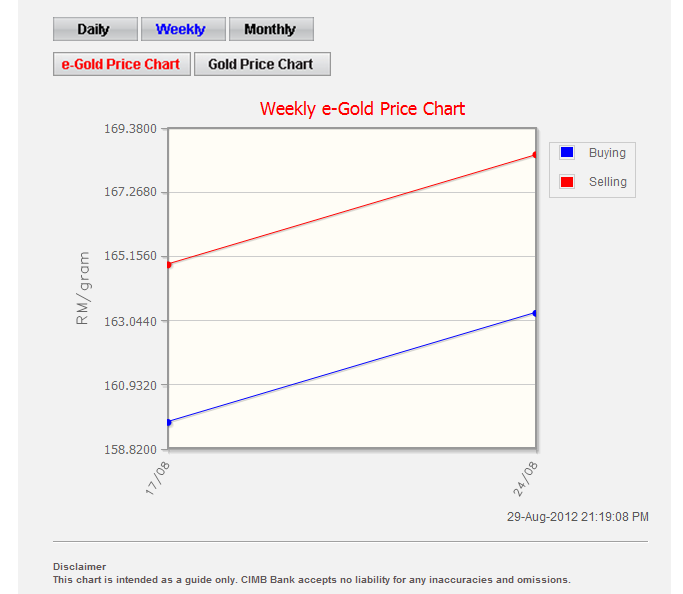 For those gold bugs out there, CIMB Bank has come out with a nice online system to buy & sell electronic gold. The new investment scheme is called the GOLD Investment Account (GIA) . *P.S GIA sounds like a girl name to me, nice touch though. It is easier to remember a girls name that any made up acronym. Add gold to your investment portfolio today in the most opportune way – now you can invest in gold via CIMB Clicks. 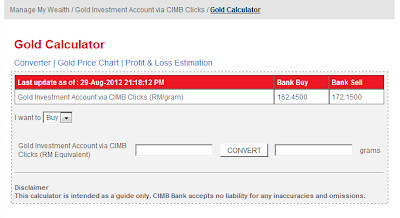 You can buy and sell gold via CIMB Clicks in the purest form (99.99% fineness). Basically, you will be able to trade in paper gold format but perform and view all transactional activities without the hassle of holding physical gold. This is an Internet Banking only account on CIMB Clicks which is available to individuals, Joint and/or Sole Proprietor customers. You can access your account via CIMB Clicks on your PC to perform transactions and keep track of your investment. Opening an acount can be done quickly and conveniently through www.cimbclicks.com.my. Schedule transactions – Choose to buy at a future date based on a predetermined gold price and amount (one-off or recurring). All you have to do is specify the quantity of gold you would like to purchase at a certain price (limit price) and state if it is a recurring transaction. The system will check daily whether the limit price is matched by the selling price. If the limit price is matched by the selling price, the system will execute the transaction and the affiliate CASA will be debited accordingly. The order will be repeated until the recurring transaction is completed. All scheduled transaction requests have a 3-month validity period. Schedule transactions – Choose to sell at a future date based on a predetermined gold price and amount (one-off or recurring). All you have to do is specify the quantity of gold you would like to sell at a certain price (limit price) and state if it is a recurring transaction. The system will check daily whether the limit price is matched by the buying price. If the limit price is matched by the buying price, the system will execute the transaction and the affiliate CASA will be credited accordingly. The order will be repeated until the recurring transaction is completed. All scheduled transaction requests have a 3-month validity period. Gold price is quoted as RM per gram. Investment value will be converted to gold holdings in gram based on CIMB Bank’s prevailing gold Buying / Selling price quoted in RM per gram on a daily basis. 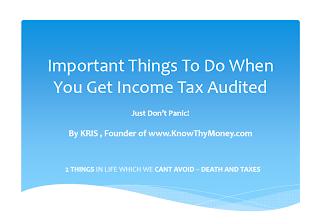 You may realize your gold holdings in the form of cash or physical gold. Withdrawal of gold into Ringgit Malaysia can be performed through CIMB Clicks. Withdrawal in the form of physical gold can be requested through CIMB Clicks; however, the collection of the physical gold currently can only be done at our CIMB Bank branch at Menara Bumiputra Commerce (“MBC”). No interest will be paid on this investment. Return on investment will be purely based on capital gain if there is an appreciation in the gold price. Mode of Operation Account opening via CIMB Clicks via internet. Account can only be closed at CIMB Bank branches. Terms & Conditions (“T&C”) Customer needs to read and accept the T&C displayed prior to opening the account on CIMB Clicks. Hence I logged into my CIMBCLICKS to have a look. Here are some screenshots of the interface. Main Interface under "Manage My Wealth"
Gold Calculator - Bank Sell is the price we buy , while Bank Buy is the price we sell. :) So the Bank make money aka commission since the Bank Sell price is always higher than Bank Buy. Note that the spread for today is around RM10. In the terms & conditions, I noticed that there is a clause that gold prices offered in this account may fluctuate a lot after working hours and during weekends. 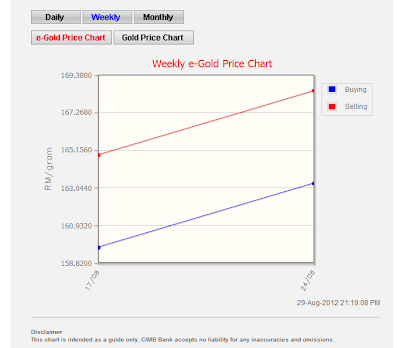 World Gold prices are very violatile hence the disclaimer by CIMB. 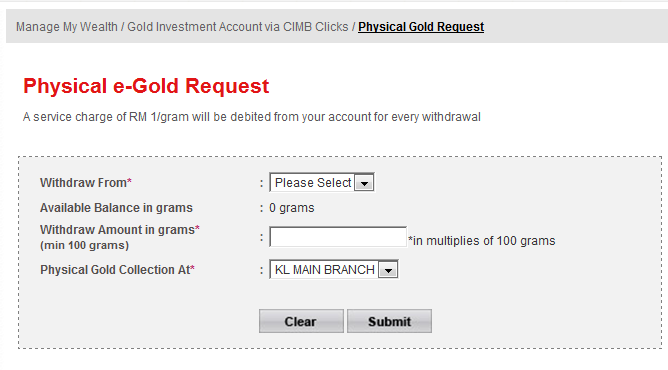 You can request physical gold but you can only collect from CIMB KL main branch. thanks for this info. how about public bank? As far as I know, I don't think Public Bank has an online system to buy gold. May I ask, can we either sell or buy gold everyday? I just wondering how this works. This Gold Investment Account allows you to buy/sell gold online EVERYDAY. Do note the operating hours and which price quote is used during certain time windows. I am wondering how does gold investment work in general. Does it works like forex? Try Public Bank & Maybank.I think I written a post on this. Just search for it.